This one has been highlighted on Twitter a few times, finally it has made the press. The Proton Investment Fund, utter fantasy stuff. A GAMBLING syndicate that bets on the AFL and has tried to recruit players as members is under investigation. 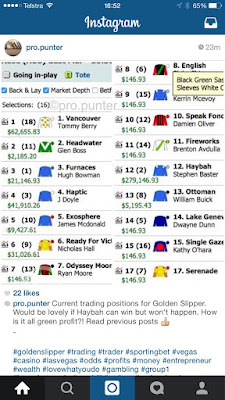 The Sydney-based Proton Trading Fund claims to have a $10 million pool to bet on the AFL, cricket, and horse racing on local Betfair exchanges and international markets. The trading fund has been seeking to recruit elite athletes, including AFL and NRL players and jockeys, to join the scheme, raising concerns about the potential for match or race fixing. Racing Integrity Commissioner Sal Perna has written a letter to the AFL, alerting it to the scheme. The AFL declined to comment when contacted by the Herald Sun but sources close to the league said they had looked into the operation. ... The fund, which was advertised through an Instagram ­account, sought investments of up to $250,000, claiming it was capped at $10 million. 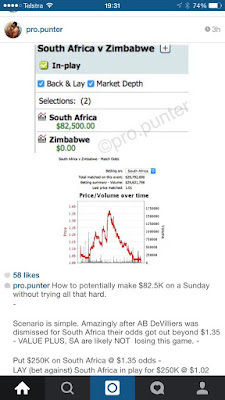 The @pro.punter account has since been closed. 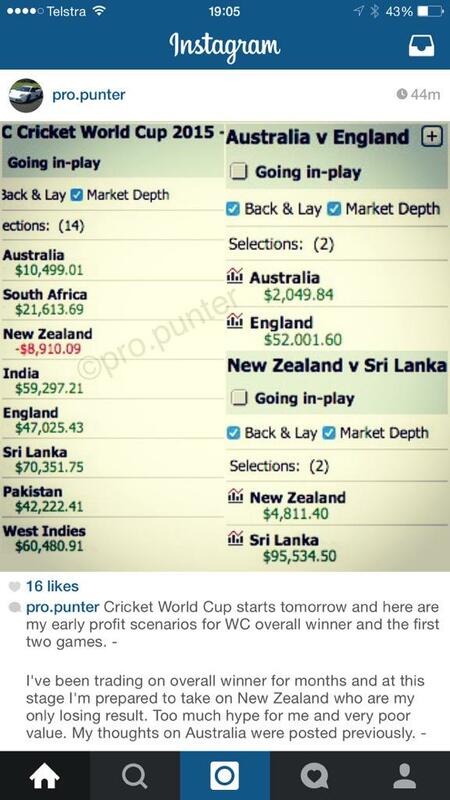 It's not the links to professional sportsmen they should be concerned about, it's the fact it is a complete scam! But either the authorities don't care about that, or there aren't any laws to prosecute the fund organisers for. 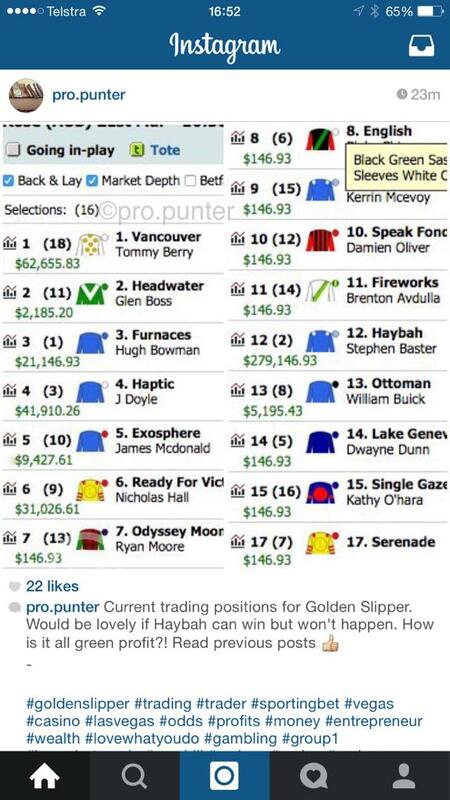 Have they even charged Bill Vlahos for anything yet?? It seems as if so long as it relates to gambling, you can do whatever you like. If it was a share market fund, they'd be cuffed within days. 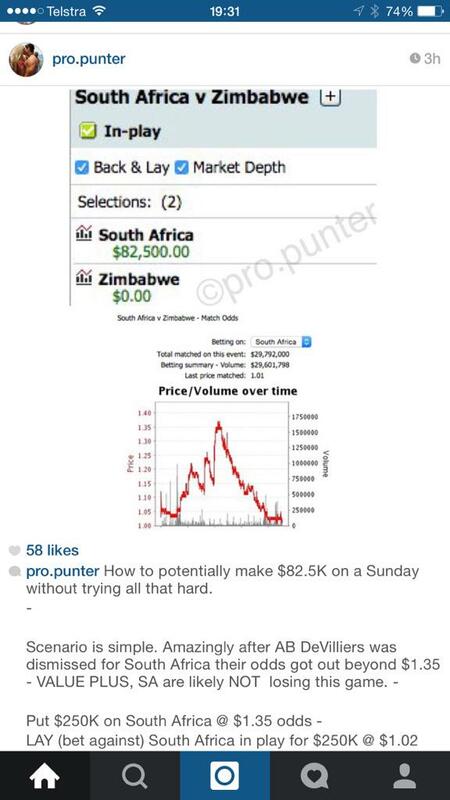 Numerous current and former AFL players were being roped in via the Instagram account (shouldn't the mere fact a get-rich-quick scheme is being advertised by Instagram ring enormous alarm bells?? ), whether any of them actually stumped up the cash is unknown, but if you've ever seen the brilliant ESPN 30 for 30 documentary Broke, and you realise most of these players are destined to become professional athletes early in high school, it's not surprising they can't work these things out for themselves. In case you were wondering, it is extremely easy to doctor those screenshots via browser extensions these days. You don't even need Photoshop. 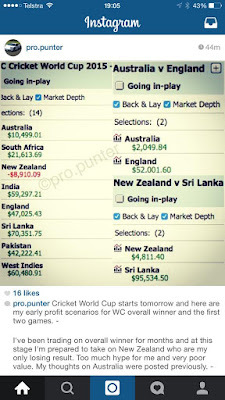 Fluctuations to create 'profits' like that pre-match for cricket are impossible.